Two bracelets: same pattern, different beads! So you’ve taken a couple of classes, and you’ve made some things at home on your own. You can do a wrapped loop in your sleep, feel totally confident in your crimping skills, or you can attach a clasp to a peyote bracelet without even gritting your teeth now. Congratulations! It’s nice to feel like you’re getting good at something and enjoying it at the same time. Now you’re ready to venture out and try some new things on your own! You grab a magazine or a book (or search through boards on Pinterest), and you find a gorgeous necklace/bracelet/pair of earrings that you just have to make. 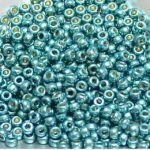 You will quickly discover that, unless said piece of jewelry is a pre-made kit, you will have a hard time finding every single bead used in the pattern. This is where the challenge comes in. My first piece of advice is to let go of the feeling that you have to make an exact duplicate of the sample that you fell in love with. Part of creating is being creative, and it’s hard to be creative when you’re spending all of your (creative) energy tracking down every tiny component to make a carbon copy of someone else’s work. Do you like the colors? 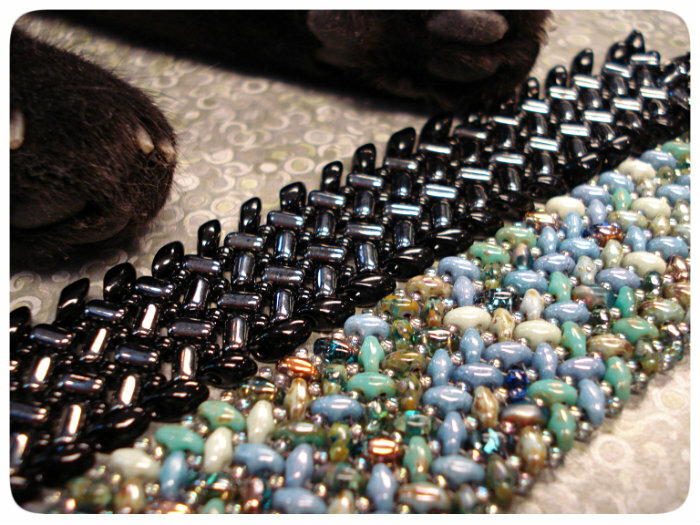 Try and find beads in the color palette used, not worrying so much if they are the same shape or size as the sample. Like the style? This one’s easy. Just try and capture the spirit of the piece with the beads you choose. But the easiest thing to do, especially with seed beads, is to find the same type of bead, just be prepared to compromise about colors. It’s okay if the beads you’re using aren’t the exact shade of purple used in the picture, or if the jump ring you have is 2mm larger than the one they call for. Most of the time, the person has given a list of the things they used, not a list of the things absolutely required to make a piece work. Just because you don’t have a vintage box clasp doesn’t mean you simply cannot make the necklace. Just find another clasp you do like and start stringing! It just takes a couple of times of making decisions for yourself as far as the beads and findings used in your creations for you to gain the confidence that you are completely capable of making those decisions and that you don’t have to follow a magazine or anyone else’s suggestions to a T.